Cyclops: Dead or alive? We'll find out in 'Uncanny X-Men Annual' #1 – AiPT! At the Marvel Comics: X-Men panel at New York Comic Con, a star-studded panel including Matthew Rosenberg, Ed Brisson, Sina Grace, Leah Williams and more were on hand to talk all things X-Men. One of the topics of discussion was the newly announced Uncanny X-Men Annual #1. X-Men Annual #1 looks to answer one important question: Is Cyclops dead or alive? “The answer is super dead,” X-Men editor Jordan D. White joked. 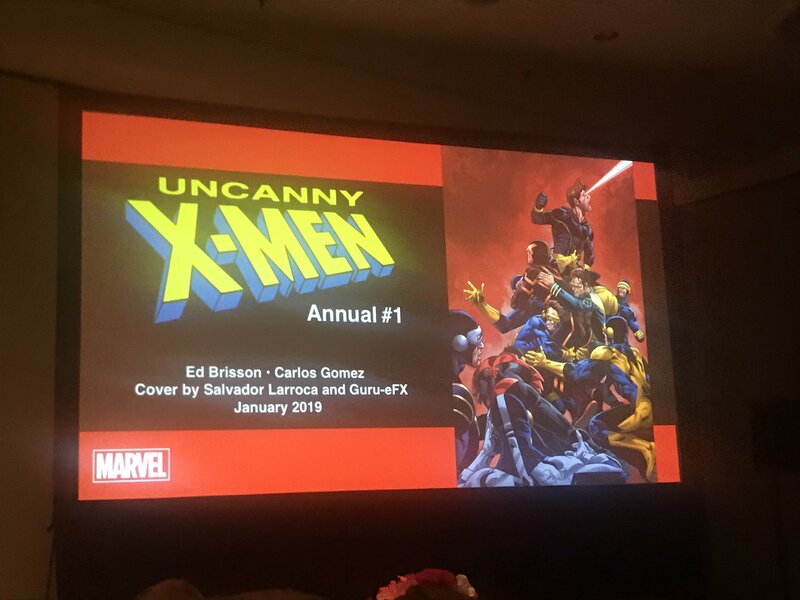 We don’t know much about the issue right now, but based on the central question and the cover revealed at the show (see the tweet above), Cyclops fans are going to want to read this one. X-Men Annual #1 by Ed Brisson and Carlos Gomez will be released January 2019.